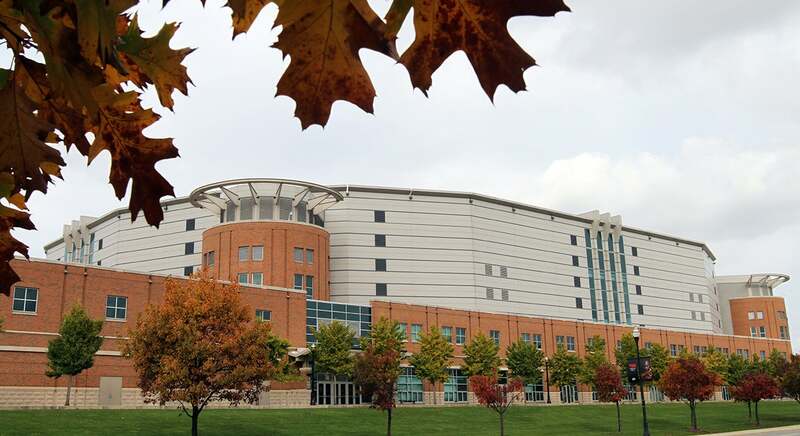 The Ohio State Men’s Basketball program has been part of the Big Ten Conference since 1913 and opened the new venue with a game on November 3, 1998. 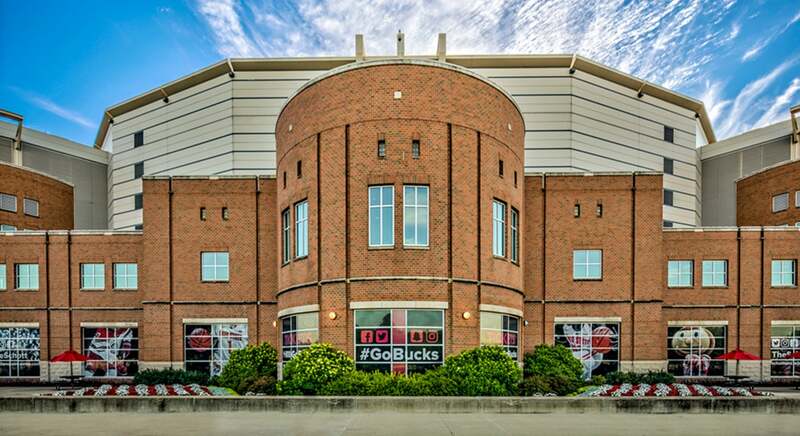 The Ohio State women’s basketball team has called the Schottenstein Center home since the building’s opening in 1998. 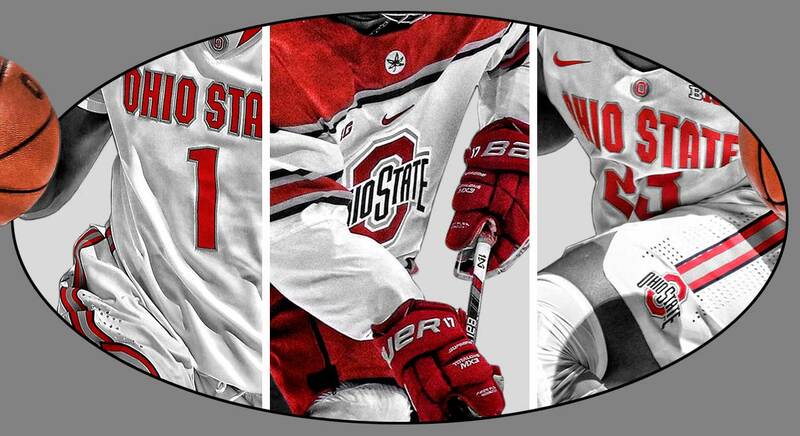 Ohio State men’s ice hockey became a varsity sport for the 1962-63 season and competed in the CCHA (Central Collegiate Hockey Association) through 2013. 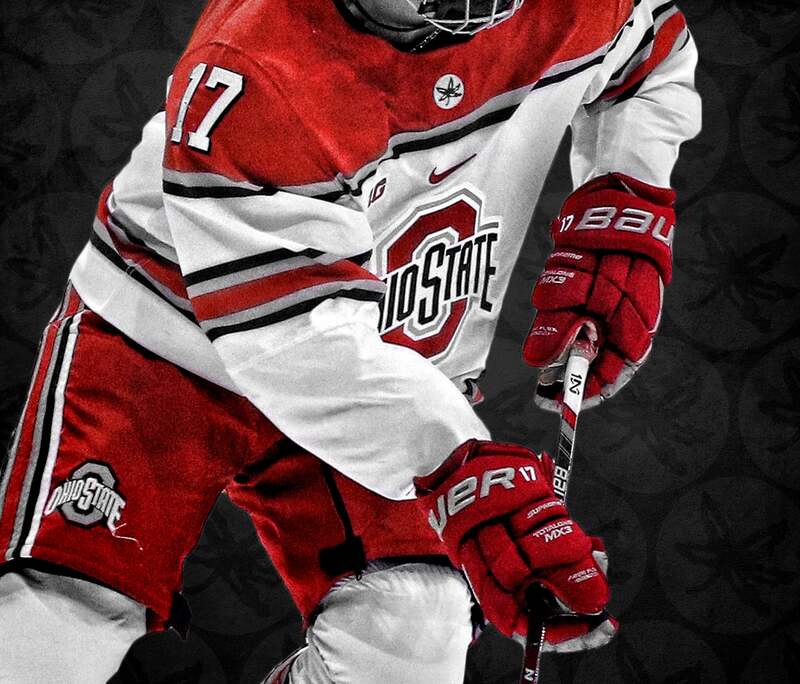 The Schottenstein Center has been home to Buckeye hockey since 1999, with a 1-0 win over Michigan on Jan. 2, 1999. 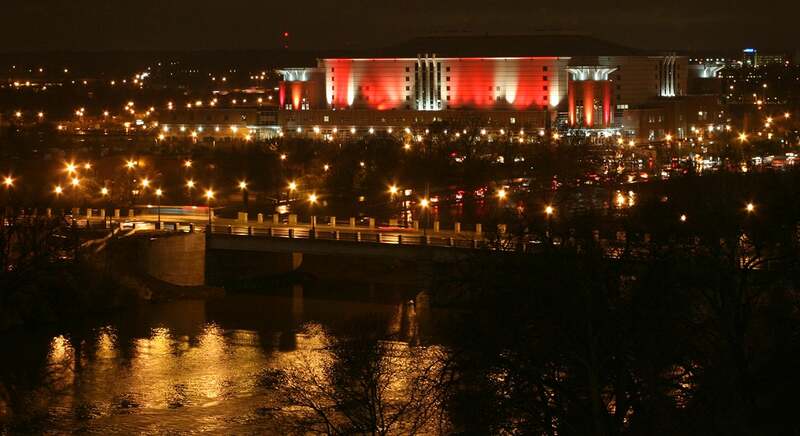 4 ½ hours - approximately how long it takes to convert the arena from hockey to basketball configuration. 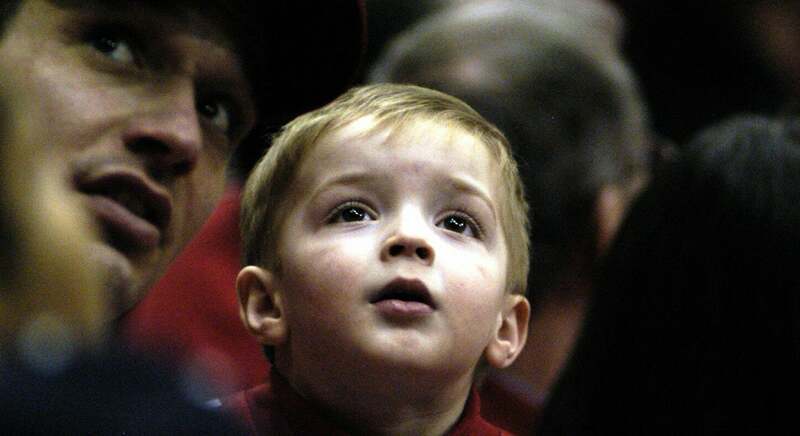 3 ½ hours: approximately how long it takes to convert from basketball to hockey. A record of 2 ½ hours was set for a double-header. 10,000 gallons — the amount of water needed to make 1" of ice/ 12 miles of pipe is laid under the floor to run the ice cooling system. Most people are surprised to learn the ice stays underneath the basketball or polar floor for the entire hockey season - October through March. 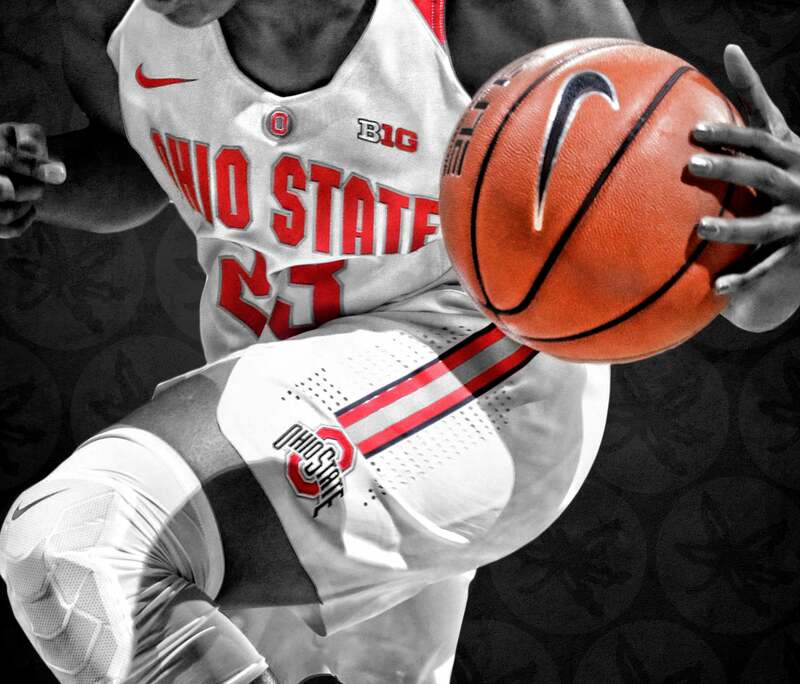 Curt Moody (Moody/Nolan Ltd.), one of the designers of the Schottenstein Center, was a walk-on OSU basketball player, lettering in 1971, '72 and '73. 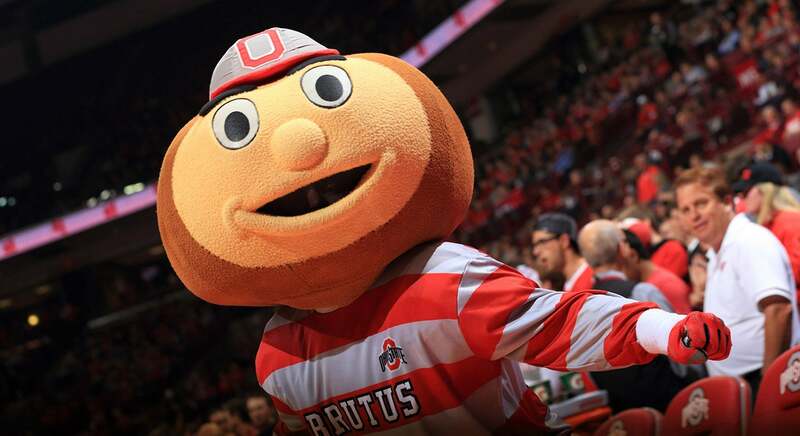 Find officially licensed Ohio State University gear including Buckeye flags, bobbleheads, T-shirts, Jerseys, and Hats online at OhioStateBuckeyes.com. 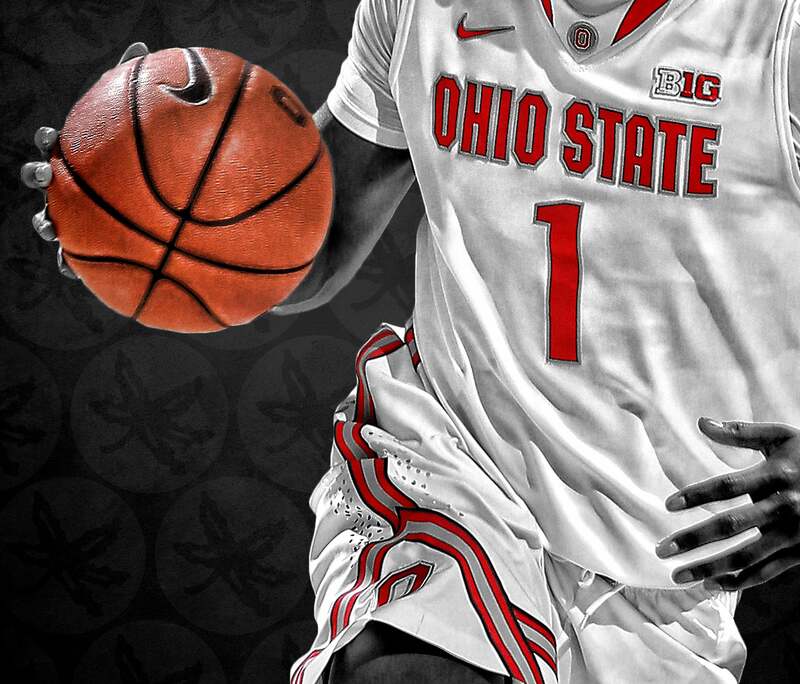 Shop the Team Shop in person at the Schottenstein Center's Northeast corner. Get your own personalized jersey on the spot at the embroidery station. The Official Team Shop is closed during most special events.